Neptune is the newest addition to our line of locations. We are happy to be able to serve the customers in the Neptune area. 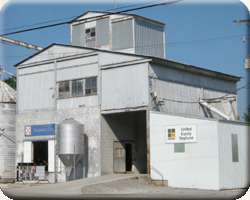 This location is equipped to handle your grain needs with a high capacity grain receiving facility. We also provide custom grinding for your livestock feed needs. This location can supply you with lifestyle and show feeds from ADM, Hubbard and Purina. Come see us to find the farm supply products you need.